A group of Cambridge University researchers along with Boeing tested a new kind of aircraft having hybrid electric propulsion system on Tuesday at Sywell Aerodrome, near Northhampton. The aircraft was a modified commercial plane which uses a 4-stroke internal combustion engine and electric motors which could be turned into generators. Aircraft used a Honda engine, 16 large lithium polymer batteries fitted into its wings, they both work together to run the plane. Once the airplane is at a sufficient cruising height the motors can be switched to generator mode, to recharge those large batteries for minimizing the overall consumption. The hybrid technique used in plane is similar that is found on the hybrid vehicles but it took this long to implement it in aircrafts because of battery technology. The aircraft which was tested uses 30% less fuel as compared to the others who run solely on internal combustion engine. 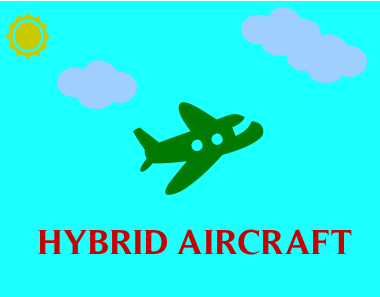 But there is still lot of work to be done in order to implement hybrid technology globally to aircrafts. This aircraft was only a single seated one and this test was done just for research purposes. Robertson also said that “We’re looking decades away before electric airliner will be viable possibility”. If the aircraft engine is wholly exchanged with electric system along with fuel, it would only have energy for only 10 minutes of air time. In future maybe this technology could be used for powering small private aircrafts as they require less energy as compared to commercial ones. This tech can also make it’s place in the future of automobiles as the flying cars are being developed by many companies for the near future.